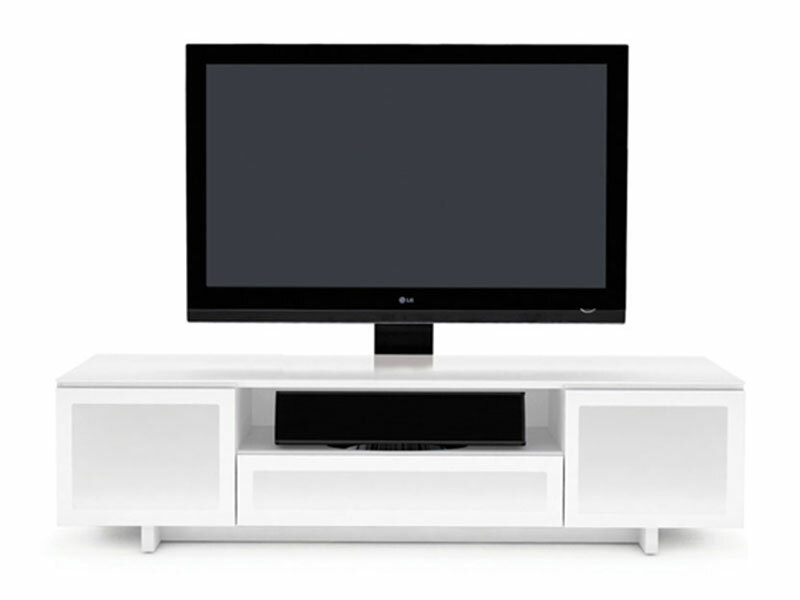 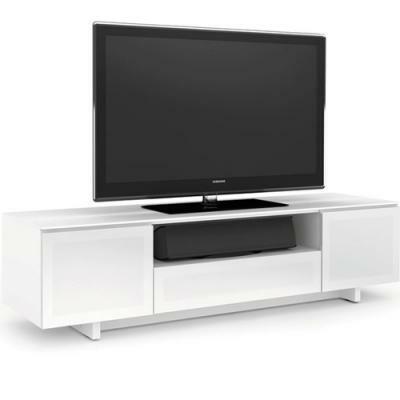 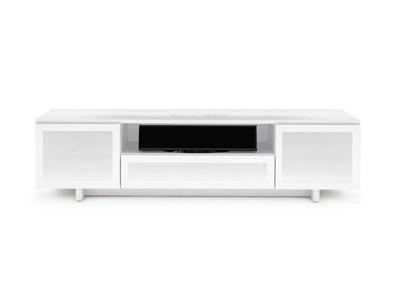 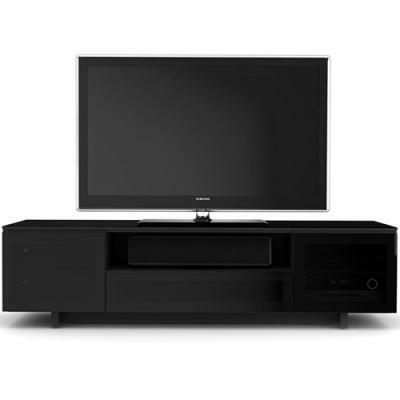 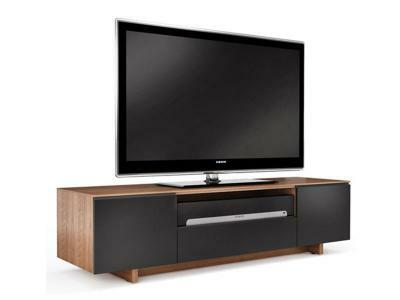 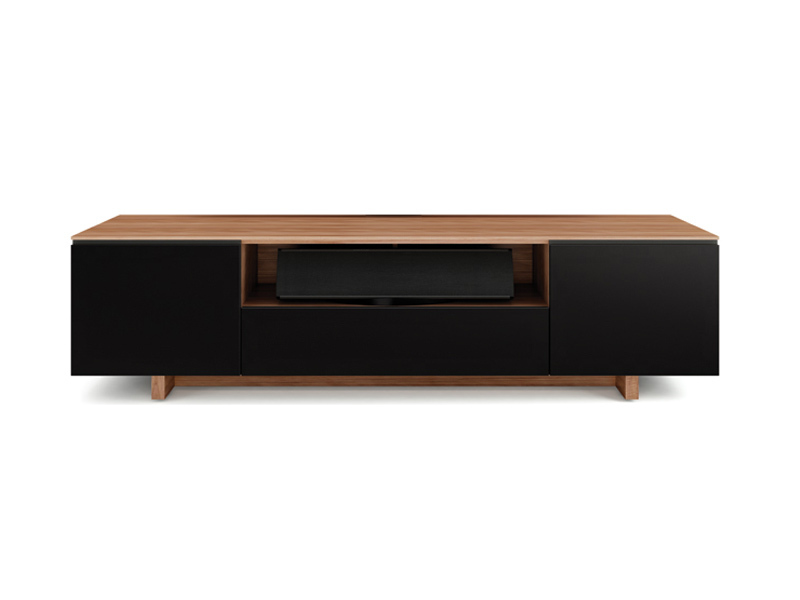 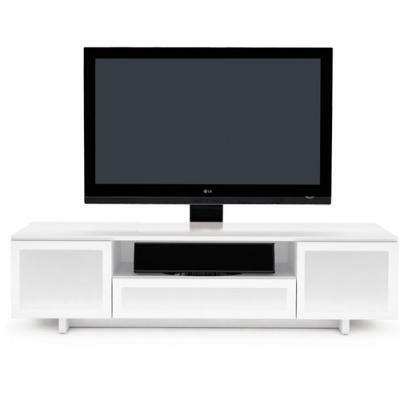 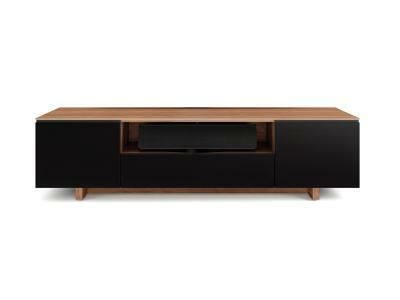 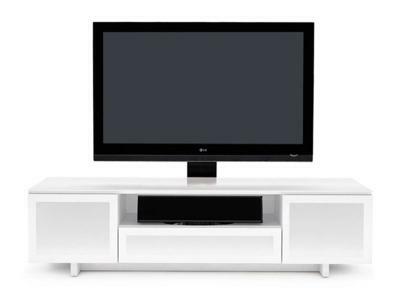 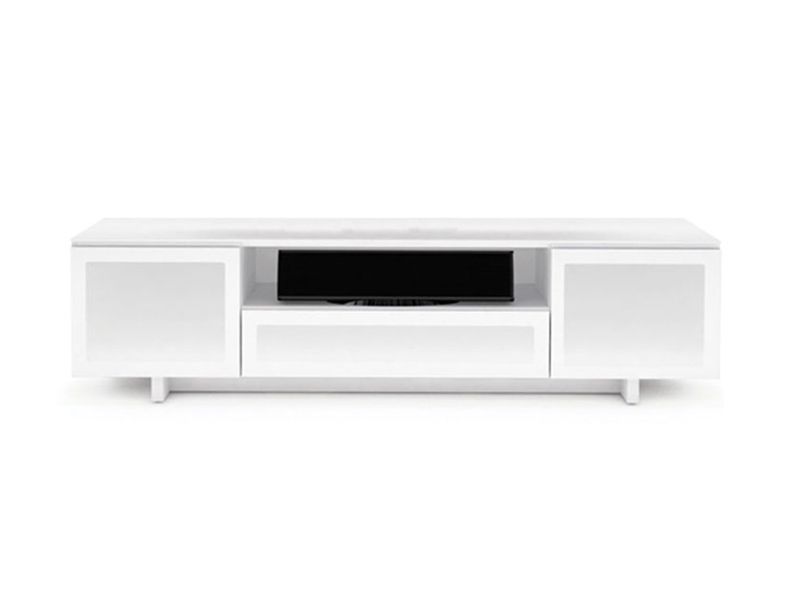 The modern design of the NORA cabinet creates a sleek home for a flat panel TV and components. 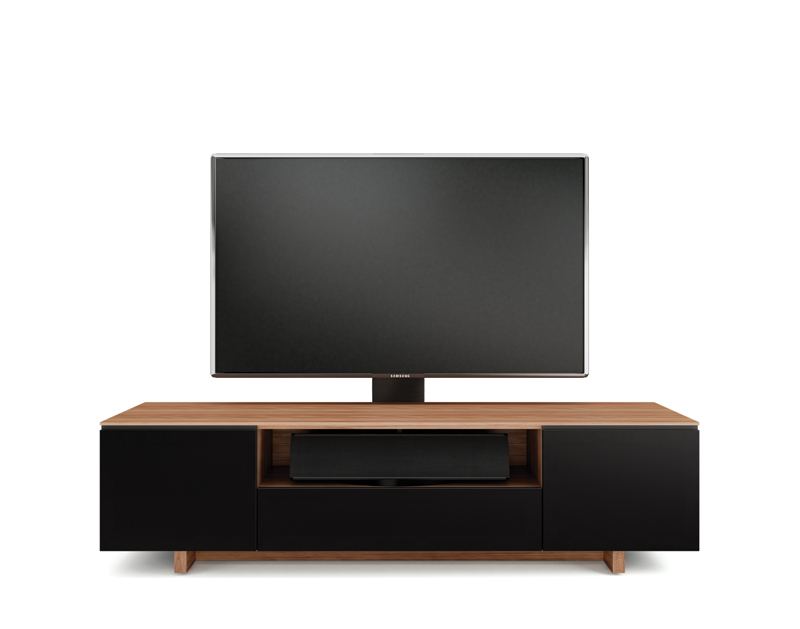 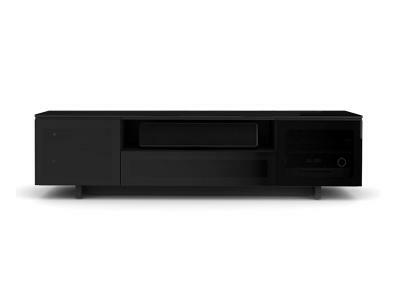 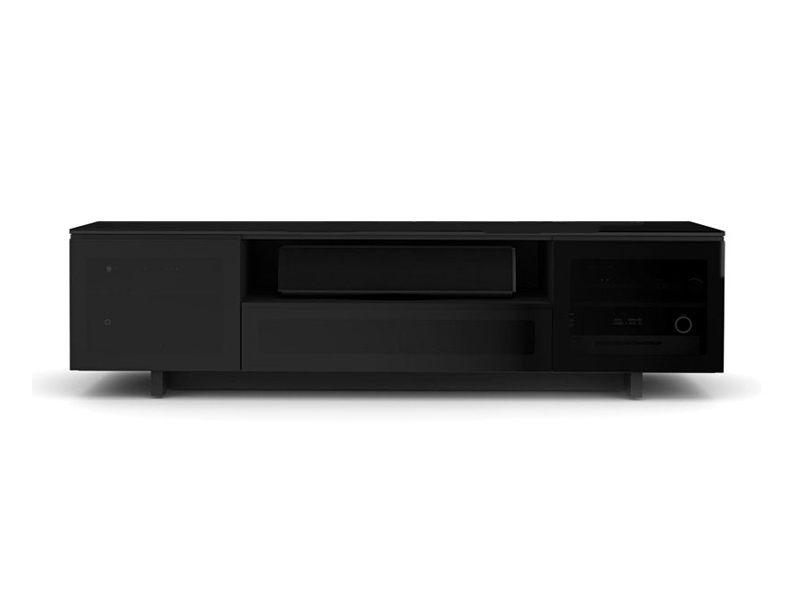 Available in two profiles, NORA is a standard depth for larger home theater systems, while NORA SLIM is perfect for systems with shallow components. 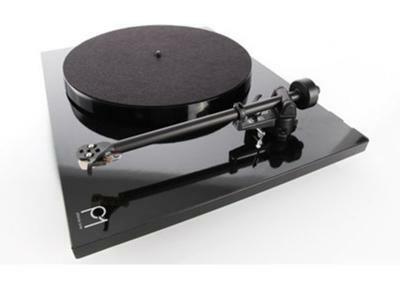 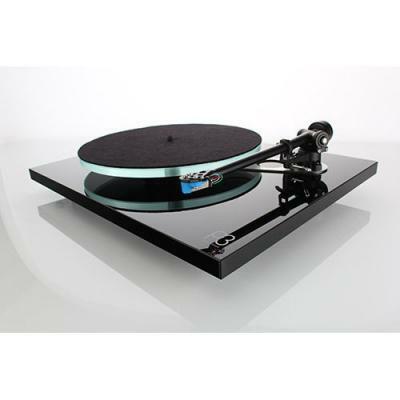 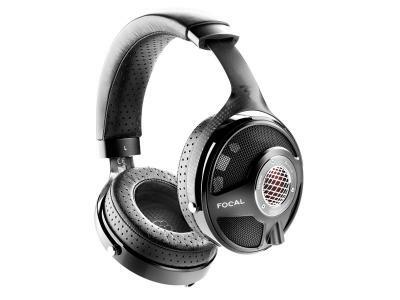 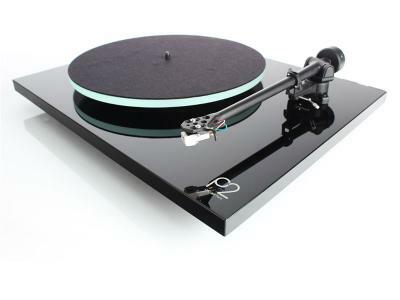 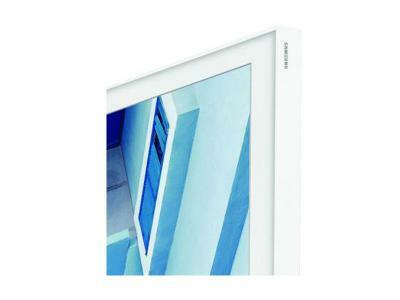 Both models feature two adjustable side component compartments with soft-close doors. The center of the cabinets includes an open speaker/component compartment and a flip-down door that conceals two additional component compartments.